Heringer markets its products through sales of formulations and simple elements arising from various raw materials acquired from national and international suppliers. The fertilizers are produced by mixing macronutrient granules, with or without micronutrients and/or additives, in accordance with the appropriate formulation for each type of crop and soil requirement. 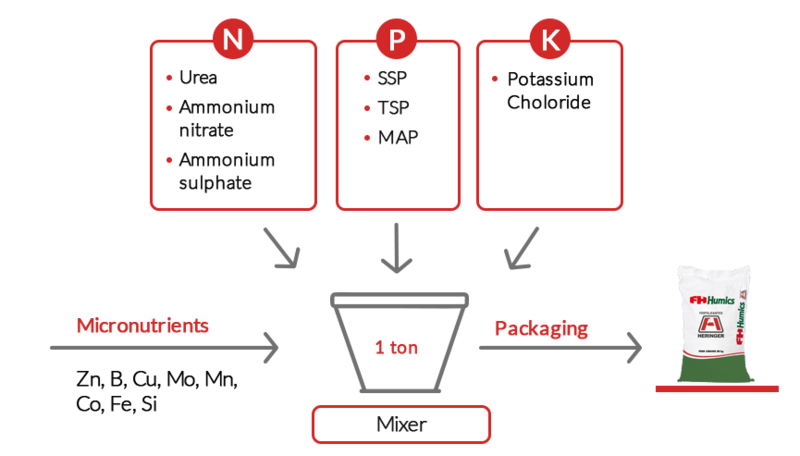 The mixing unit produces any type of fertilizer formulation for agricultural use.